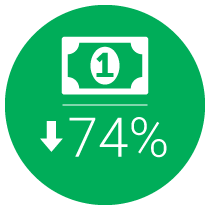 Richfield Bloomington Mitsubishi (RB Mitsubishi) sells vehicles 4.5x faster using Dealer Teamwork’s MPOP® digital marketing platform. 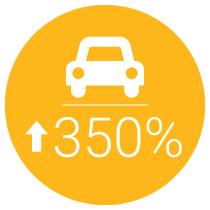 350% Faster vehicle sales than standard inventory when merchandised via the MPOP™. 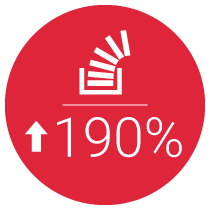 190% Increase in conversions over the same period last year. This built the foundation of a successful, long-term digital marketing strategy. Dealer Teamwork improved digital marketing processes by implementing weekly touch-points to measure, review and adjust their strategy. This regular optimization schedule allowed RB Mitsubishi to more critically analyze their performance and make agile adjustments. This process has been so successful that RB Mitsubishi approved budget increases on two separate occasions thanks to a strong return on investment. 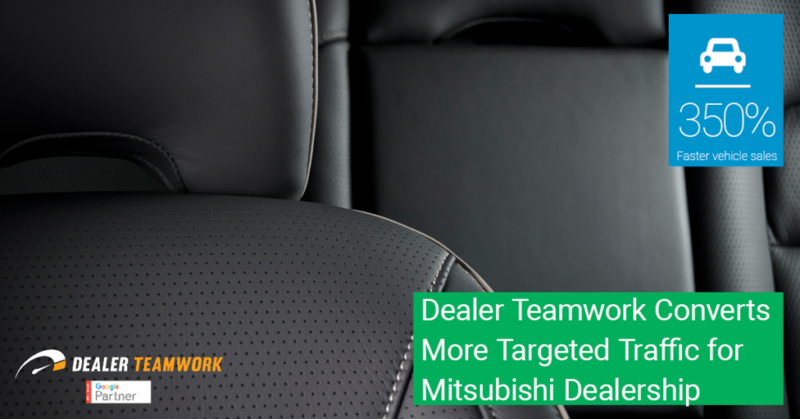 As founder Tom Wood once stated, “Success is not measured by the number of franchises or locations an organization has; it is measured by the people associated with it.” By partnering with Dealer Teamwork, RB Mitsubishi has clearly found the people who can power their success in the digital realm.